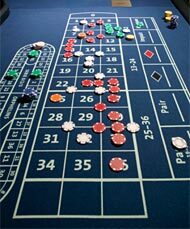 There are so many roulette betting systems in the world that it can be sometimes difficult to choose the one to follow. There is Fibonacci, Andruchi, Labouchere and others. You can select according your taste, or the name of the system, or according to "how much math will I do by using it?" or even according to your desire to have fun. In this case Dopey Experiment or James Bond might be useful for you. Have you noticed that in every game the people try to develop some strategy, some tactics how to fight for cash? In our case, the game is roulette, which does not depend on any math laws but you can implement them to make your losses lower. No one can possibly win at roulette unless he steals money from the table while the croupier isn't looking. He was a great scholar, why would he say so? You should always remember that no matter what system you apply, the roulette does not care about it and it will generate the winning numbers independently. But there are some "volunteers", who want winnings to happend more often and make the wheel biased, or tamper it. That is prohibitted of course, as it is rather strong violation. There are still some legal betting systems, which are good to use in a very short period of time. Some players try to win gradually, like making outside bets, where payout is 2:1, and hope that they would break the bank with such bets. Others, way more brave, make inside bets, where payouts are 8:1, 17:1 and, finally, the most precious is 35:1. Even if you bet consequently in 35 spins, there are only 60.68% that the number will come up. It may also just not. You are to decise how you would like to play here. I'll tell you a secret. There is one strategy that really works always, for everybody, in any gambling game. It is called bankroll management. In other words "Do money management with your own money and do not let yourself to lose all you have!" When you are going to the casino, you should definitely know how much money you are going to spend today. It brings discipline to your gambling activity. As there are high and low bets, you should know how much you want to bet on high numbers. The experts say that the sum for the risky bets should not exceed 25% of everything you've got for today. Also you need to keep balance of the bets, so that when you win, you would not blow everything. Do not get too excited. If you are betting on 13, you do not have to bet on black, odd, second dozen, 2 to 1 at the same time. The other important thing that all the gamblers should remember is that roulette is a game, and the purpose of it is fun, joy and pleasure. Relax and enjoy the game!